Where can you begin? 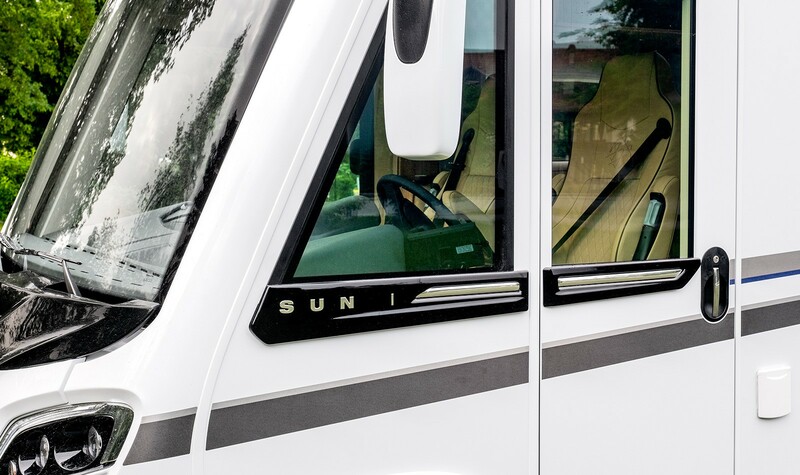 The SUN I is simply an impressive vehicle – from the very front to the very back. 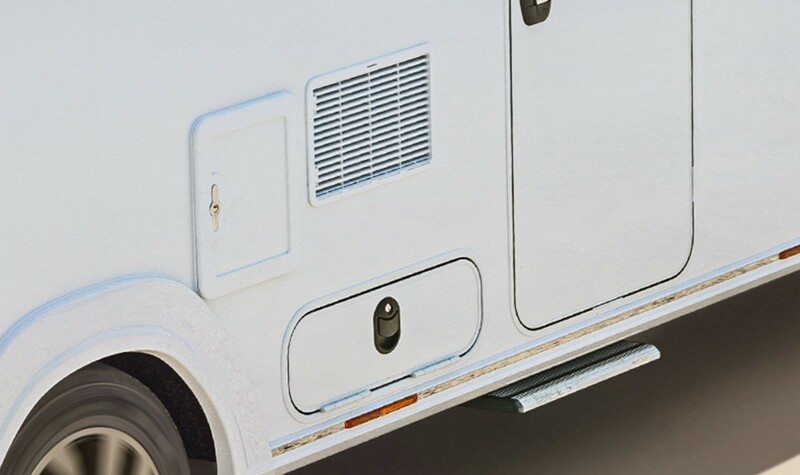 And it is already the design highlight amongst the vehicle liners. 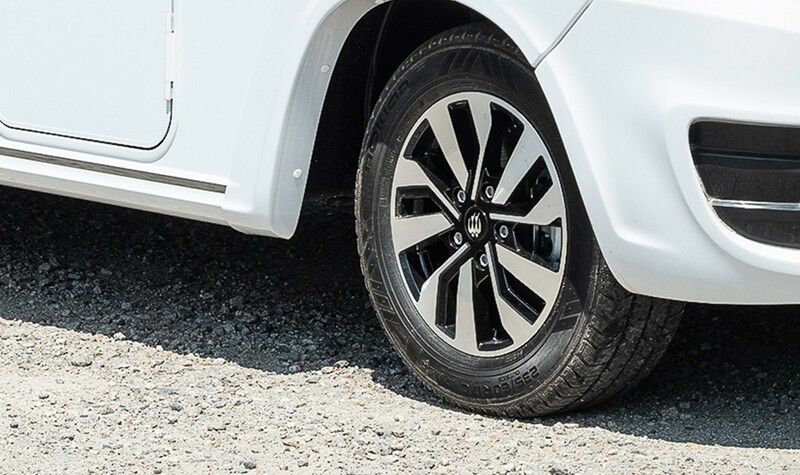 With its automotive design elements, even as a two‐axle vehicle, it has a dynamic and elegant appearance. However, the exterior highlights do not stop with the design. But why not see for yourself? 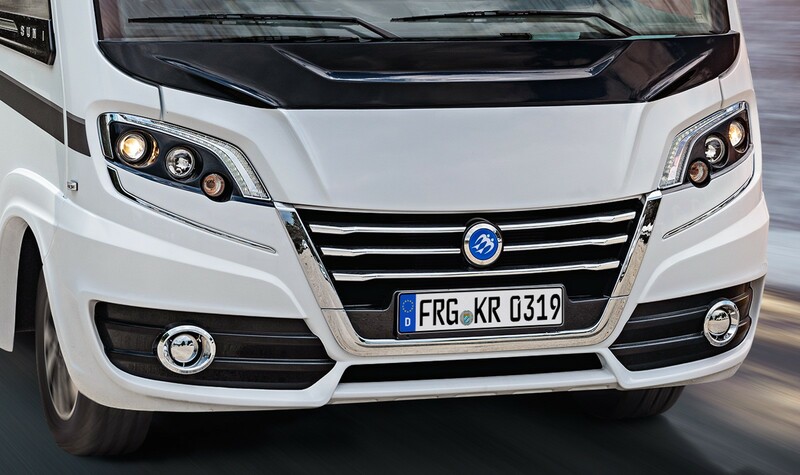 Impressive dimensions, regardless of whether as a two‐ or three‐axle vehicle: Both variants do not only combine the desire for maximum comfort and luxury, but also a wide range of equipment and safety features. Perfectly integrated in the outline edge: the rear view camera. Additional storage space and ideally suited for winter due to the double floor. Extravagant design for an imposing appearance. 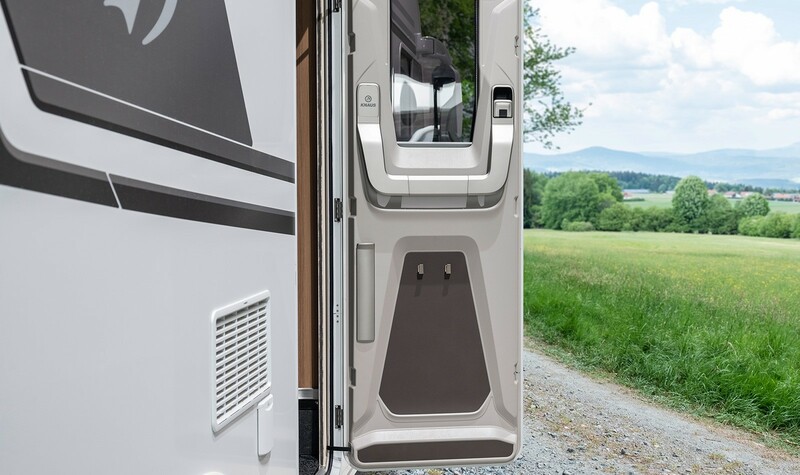 Outer doors with single-handed operation and optional central locking ensure optimum ease of use. 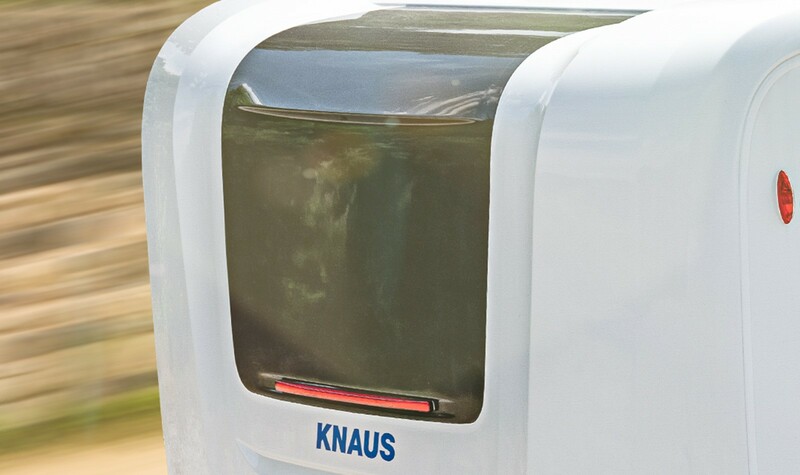 The KNAUS EXKLUSIV cabin door welcomes you inside with a stylishly coming‐home lighting and offers even more comfort with a 700‐mm width and central locking system. 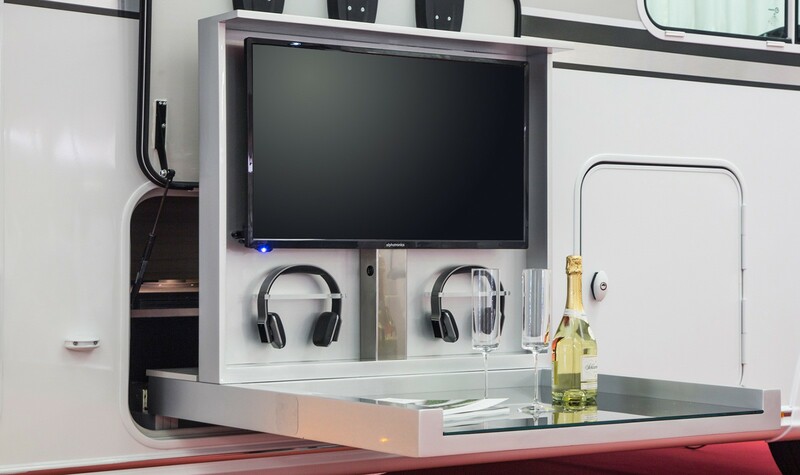 Spectacular outdoor entertainment package with 32‐inch LED TV and Bluetooth headphones. 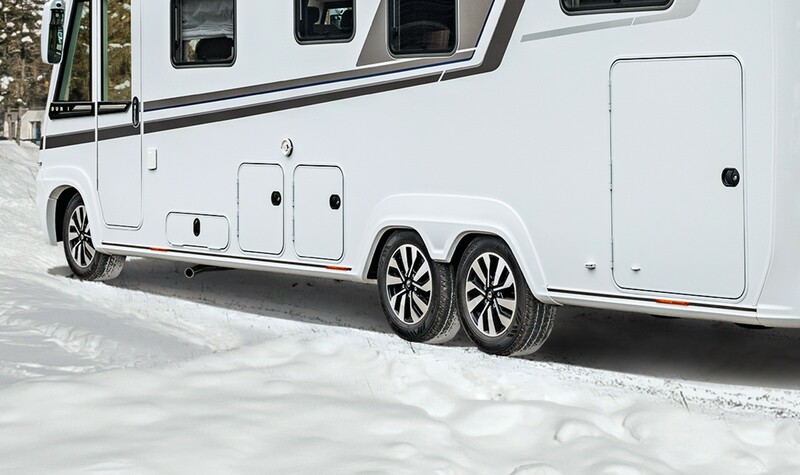 Distinctive edges, attractive dimensions & a high‐quality radiator grill with chrome applications: this is how fun travelling can be. Extremely well suited to winter conditions due to a double floor and ALDE warm water heating. The additional side blades with chrome application and high‐quality SUN I series lettering are particularly nice.